The California School Employees Association represents 230,000 dedicated, extraordinary school support staff throughout California. CSEA was formed in 1927 when a determined group of Oakland custodians came together to support an elderly custodian who couldn't afford to retire because public schools had no pension plan for such employees. This small group of custodians saw the need to gain rights and benefits for themselves and other school employees, and began the organization to achieve this goal. 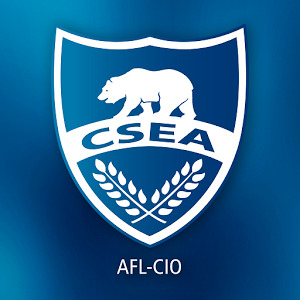 Today, CSEA continues to thrive as a member-run union, democratically controlled by member volunteers in more than 750 local chapters throughout the state. We are proud of our contributions toward California's future and we strive everyday to carry out our mission to improve the lives of our members, students and communities.